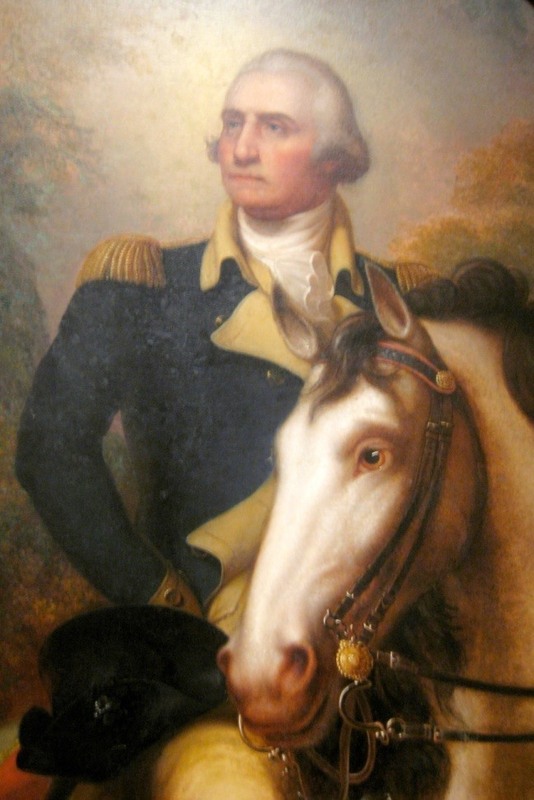 In the summer of 1781, George Washington and his Continental Army in New York were faced with an important decision. Should they attack the British headquarters in New York City, or should they attack the army of Cornwallis in Virginia? 5,500 French soldiers had arrived in Rhode Island the year before and united with Washington's army. French General, the Comte de Rochambeau recommended an attack on Virginia, but the decision was Washington's to make. A letter from French Admiral, the Comte de Grasse, inspired Washington's final decision. De Grasse would arrive in Virginia from the West Indies with a fleet of French naval ships and more soldiers toward the end of August. Washington immediately decided to march south and join him. 7,000 French and American soldiers began the march from New York on August 19. 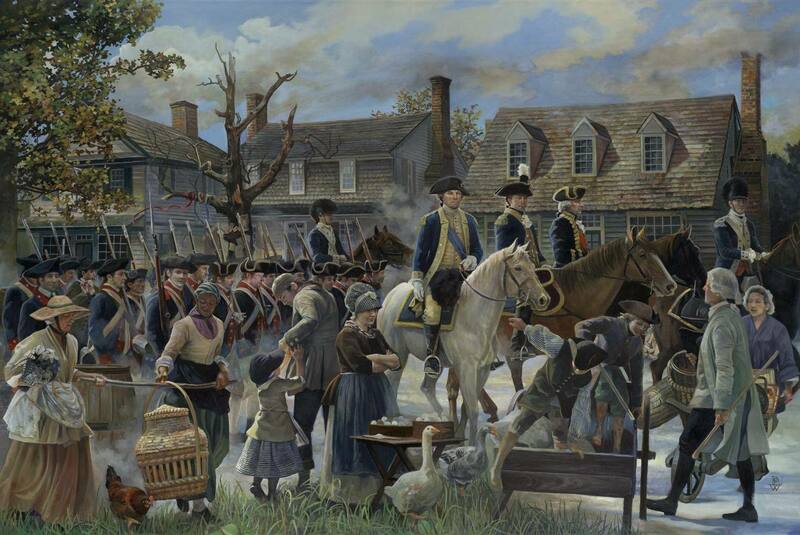 Washington arrived in Williamsburg, Virginia, only 13 miles from Yorktown on September 14. On October 16, Cornwallis met with his officers and the decision was made to surrender. The following morning, a soldier with a white flag approached the Americans and the surrender negotiations began. On October 19, the official surrender took place. Lord Cornwallis refused to attend the surrender ceremony, sending his second, Brigadier General Charles O'Hara in his place. O'Hara at first attempted to surrender Cornwallis' ceremonial sword to General Rochambeau who refused it and directed him to give it to Washington. Since Cornwallis had sent his second, Washington also refused to take it and directed O'Hara to give it to his own second, General Benjamin Lincoln. The Siege of Yorktown was the last major land battle of the Revolution in the colonies, although skirmishes and smaller engagements continued for some time. The surrender at Yorktown took away Parliament's desire to continue the war and peace negotiations began early in 1782, with the final Peace Treaty of Paris signed to end the war on September 3, 1783.